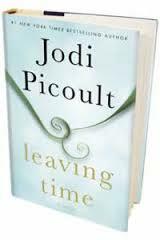 Jodi Picoult on LEAVING TIME + Giveaway! The first Jodi Picoult book I ever read was The Pact. It was back in 2003, and I stayed up all night to finish it. I became a fan, literally overnight. So I’m thrilled to welcome Jodi to The Ball to discuss her 23rd novel (!! ), LEAVING TIME, set in the wilds of Africa about a young woman trying to unravel the mystery surrounding her mother’s death. You’re known for heavily researching each book you write. What’s something interesting you learned while researching LEAVING TIME? Elephants actually experience grief. They’ve been known to break into research facilities and steal bones that scientists are working with, and bring them back to the site of the elephant’s death. For years after the passing of that elephant, the herd will return to the spot of its death to pay homage for a while – just hanging around there and getting quiet and somber and reflective before moving on. Also, what they say about elephants never forgetting – it’s true. They have relationships that last a lifetime. At The Elephant Sanctuary in TN, an elephant named Jenny was living peacefully when a new elephant, Shirley, arrived. When Shirley came into the barn that night, in the stall beside Jenny’s, Jenny began to pound at the bars between them, trying to get to Shirley. The caregivers eventually opened the gate between them and immediately Shirley and Jenny began to move in tandem – staying inseparable. When Jenny lay down to sleep, Shirley would straddle her, like a mother elephant would a calf. It turned out that when Jenny was a calf and Shirley was 30, they had both been at the same circus for a brief while. They had been separated for 22 years, but recognized each other. What inspired the idea for LEAVING TIME? My daughter — my youngest child — was getting ready to leave for college. And I thought about how sad it would be to be an empty nester, and how odd it was that to be a successful parent, you basically have to get your child ready to leave you forever. Then I read that in the wild, a mother and daughter elephant will stay together till one of them dies. It seemed so much…smarter! I wanted to write about what it felt like to be left behind; at that moment, I knew I was going to incorporate the elephant kingdom. My mother is always my first reader, along with my agent. My agent knows the big picture and lets me know if I’m straying from my main purpose for a novel; my mother is my benchmark reader. She needs to laugh and cry at the right moments. Plus, I know that no matter how bad the draft is — she won’t tell me it’s awful! As I get out of bed each morning, I pull the sheets up behind me, already making the bed. LIVING COLOR is going to be about race in America, in the present day. It is a book that has pushed me the furthest into confronting my own unseen prejudices and privileges as a white woman in America. Too often, and too recently, we have seen acts of violence taking place that have a root of racism at their core…yet racism is never mentioned in the courtroom proceedings following. Why is race something both prosecutors and defense attorneys shy away from discussing in court? The answer is because racism is the one conversation this country doesn’t want to have. Which is exactly why I think we need to start talking. Thank you, Jodi, for stopping by! GIVEAWAY: Comment on this post by Noon (EST) on Friday, October 24 to enter to win a signed copy of LEAVING TIME (US only). Follow The Debutante Ball on Facebook and Twitter for extra entries—just mention that you did so in your comments. We’ll choose and contact the winner on Friday. Good luck! 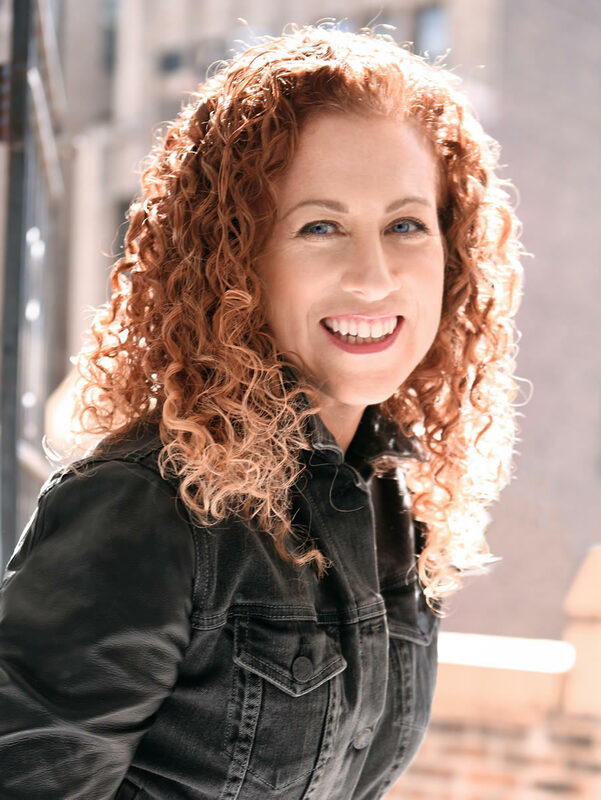 Jodi Picoult, 48, is the bestselling author of of twenty-three novels: Songs of the Humpback Whale (1992), Harvesting the Heart (1994), Picture Perfect (1995),Mercy (1996), The Pact (1998), Keeping Faith (1999), Plain Truth (2000), Salem Falls (2001), Perfect Match (2002), Second Glance (2003), My Sister’s Keeper(2004), Vanishing Acts (2005), The Tenth Circle (2006) Nineteen Minutes(2007), Change of Heart (2008), Handle With Care (2009), House Rules (2010), andSing You Home (2011), Lone Wolf (2012) and the YA novel Between The Lines(2012) co-written with her daughter Samantha van Leer, and The Storyteller (2013) Her last eight novels have debuted at number one on the New York Times bestseller list. Her highly anticipated new novel, LEAVING TIME, was released October 14, 2014. This sounds really good! I’ve heard so much about this author and would love to start reading her books! Thank you! I love how every JP novel digs deep and makes the reader squirm just a little (sometimes more than just a little!) seeing themselves in a difficult situation and wondering what they’d do if faced with it in their life. I am already in love with the next two JP novels! I love elephants, and would have loved to have my daughters stick with me until the end instead of making new lives of their own. Although I probably wouldn’t have grankids otherwise! 😉 Which brings me to the JP’s novel she is working on now. One of my granddaughters is half Korean. I won’t even get in to some of the looks and comments we’ve experienced already, and she is only five! I agree: we all look with color first, hearts second. It needs to change. Yay to Jodi for bringing it front and center! Thank you Jodi, for stopping buy our blog today! I love hearing how experienced writers work. I can’t wait to read the new book!!! I adore each and every book I read written by Jodi Picoult. My first was My Sister’s Keeper and as long as she keeps writing I will keep reading. What a talented writer, would love to meet you. Jodi! I owe Jodi a lot for choosing my story as a contest winner for Good Housekeeping in 2010. I need to read this elephant book. I’m a little obsessed with animals generally, but lately I’ve been struck by the desperate desire to meet an elephant. I rode an elephant in Thailand, and had the chance to snuggle with a baby elephant at the same sanctuary. It was one of those experiences I will never forget. Go find yourself an elephant to meet, Lori! They are spectacular animals. What a wonderful post with Jodi. I have not had the pleasure of reading any of her books before. I’m already looking forward to this book. Also, this statement is very particularly true of the US, but it shows up in different forms in a lot of the rest of the world, too. I have not as yet read anything by this author—perhaps this book will be my first! I’m a Facebook and Twitter follower! I LOVE Jodi Picoult books! I am blown away by every interview I read where she talks about her research or inspiration. Such talent. Oh how I’d love to win this!! I would be beyond thrilled!! I can’t wait to read it. I’d love to win this book! She’s such a wonderful author. 🙂 I followed on FB & Twitter. Thanks for the giveaway. Thanks for the interview and the giveaway, Jodi and the Debs! I love cross-promotions! I follow on FB and Twitter as Lindsey Seigle Slott and @LinzMSS. I love Jodi Picoult books and this one sounds like another great one! What a fun interview! Fascinating about elephants and grief. I have also heard that when an elephant mother loses her baby, her family will stand around her, for as long as she needs, for support. No pushing to move on and move forward. Just support for as long as she needs. Amazing. Thanks for coming to the Ball, Jodi! I’m a fan. I would love to win this book. She is such a great author! Love her books, this sounds like a great one. I would love to win a copy:) Thanks for the opportunity! LOVE your books. This would be a treasued addition to my library. I love Jodi’s books, and I’m sure this one will be great as well! I’m looking forward to reading it! Hello Jodi, I was just thinking about you (rather, your novels) this past weekend. I won a pile of books in a raffle at a local literary event, and in that pile was SALEM FALLS. This novel was my first introduction to your work. I remember thinking, How have I missed Jodi Picoult? So I went back to read your earlier novels. I love the themes you tackle. I gave SALEM FALLS to my neighbor who is a huge reader. Jodi’s books are memorable, meaningful and unforgettable. The characters have depth and the inter-relationships are intriguing. A treasure which I would enjoy greatly.